Home » Podcasts & Blog » The Voice of Your Dreams! The Voice of Your Dreams! Do you have a big goal you’d like to accomplish? Maybe you want to push your business to the next level, mark something off your bucket list, or try something totally new! Whatever the object of your desire, if you’re waiting for inspiration to get started, you should know that inspiration is most often found on the other side of getting started. 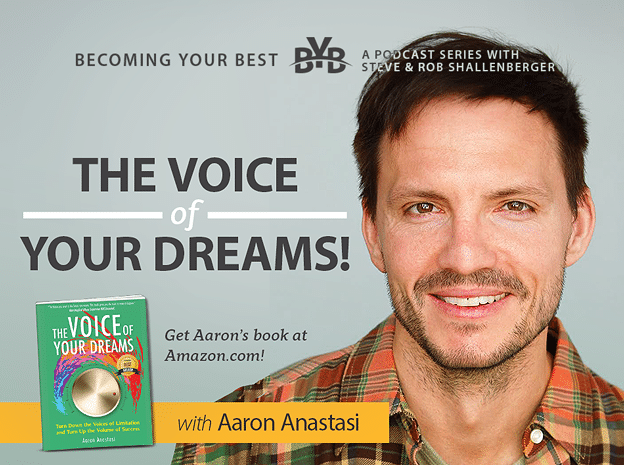 Today, Aaron Anastasi joins us to talk about all the ways you can start working toward your goals by overcoming the voices of limitation. What are the voices of limitation? Tune in to find out!